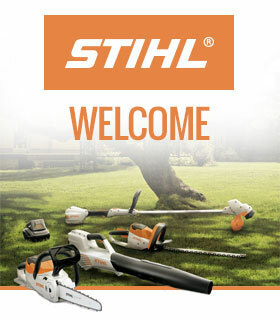 We have launched a brand-new addition to the STIHL cordless collection. Designed specifically for smaller gardens, the Lithium-Ion range features a shrub shear, hedge trimmer, a blower and a grass trimmer. Lightweight, quiet operation and an integrated battery, these tools are perfect for smaller spaces and well suited to people who want an easy to use tool. And starting from just £99, there’s nothing stopping you! If you’re interested in getting your hands on this new range, but would like more information on each product, look no further! The smallest tool in the Lithium-Ion range is also one of our most versatile. It is a handheld trimmer, perfectly at home manicuring shrubs or putting the finishing touches to the lawn edge. Supplied with two cutting blades, and weighing less than a bag of sugar, you can use the HSA 25 for up to 110 minutes on a single charge. It’s also the winner of a BBC Gardeners’ World Best Buy award, where it was praised for its exceptional cutting performance and long battery life – and it can be yours for £109. Our lightweight hedge-trimmer is quickly becoming a favourite amongst many gardeners. Although it is the most affordable hedge trimmer in our range, this doesn’t mean it isn’t extremely capable. The blades are able to cut through leafy material and branches up to 8mm thick, all while weighing just 2.3kg and runs for 40 minutes. Like all the tools in the range, the HSA 45 is extremely quiet to operate, it doesn’t require ear defenders, and absolutely won’t disturb the neighbours! With autumn fast approaching, the need for a blower increases. 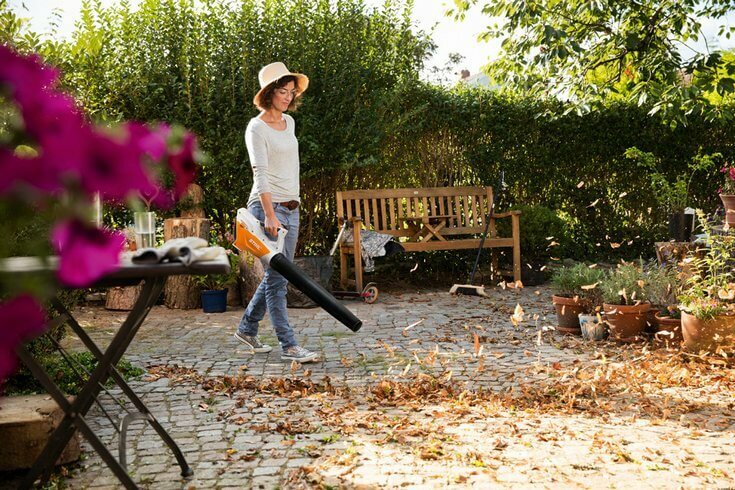 There is no easier, more effective way of clearing the garden of leaves and debris, and the £99 BGA 45 is an efficient way to clear a small garden with minimal effort. Capable of blowing with the force of 5 newtons, this 2kg blower will make short work of debris in the garden. The final lightweight member of the Lithium-Ion range is this capable grass trimmer. Able to carry both trimmer line or polycut blades, it is excellent at precisely maintaining a small lawn. It is also an extremely adaptive lawn edger, and has an adjustable handle and telescopic shaft to suit the users height. Available for £99, and operable for 20 minutes on a single charge, it is a perfect alternative for a lawn mower in small gardens with little storage space. 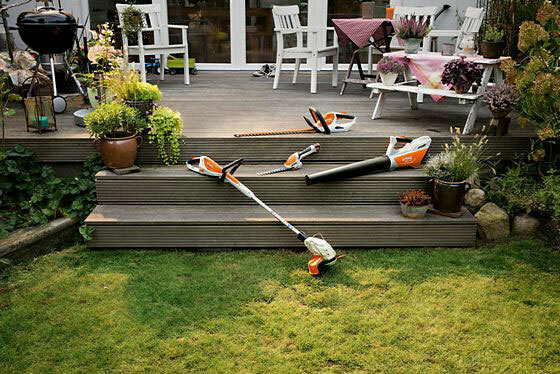 If you need the perfect products for perfecting your smaller garden space and you’d like to try them out for yourself, contact your local STIHL dealer or visit the STIHL Shop.